I looked at the clock on my bedside table–it was barely 5 am. “I don’t like this it’s creepy,” I thought as I scribbled it down on the pad I keep nearby for recording dreams. A friend of mine was a teenager again and living in her parents’ home. She was very fearful, upset and teary-eyed. She kept wringing her hands saying she didn’t know what to do. She asked me several times, “What do I do?” before I woke up. Many times our dreams are only reformulations of things that happened to us during the day or images we saw on television. And, they don’t mean a thing. However, if you have trained yourself to remember your dreams and set the intention to receive guidance in this way, then many of the ones you remember will contain intuitive guidance. When we dream we are more open to receiving information via our intuition simply because our conscious mind doesn’t filter the information. The information contained in the symbolism of the dream is pure and uncontaminated by the logical mind. Our intuition always speaks to us in the most expedient manner. It doesn’t add any “padding” to the information and is always a “nugget” of pure gold. When we are awake it will send up information to us quickly in a burst or flash as a “whole” idea that we immediately grasp. When we are asleep it will encode the idea in symbolism. Once we have trained ourselves to remember our dreams it also becomes more likely that we will have an occasional precognitive one, like the one I had about my friend. Dream interpretation is not difficult. The dreams you have will relate to what is going on in your life especially, if you have been doing work on yourself to understand your behavior and the problems you have encountered. Why do you think therapists love analyzing dreams? Your dreams are a window into your true feelings about things that are happening to you in your life. I knew immediately what the dream about the older man cannibalizing the younger man’s brain meant. Often once you become known for being intuitive people seek relationships with you merely because they want access to your intuitive input. I realized that my intuition was warning me that it was time to be bold and clean house of a particular acquaintance, who happened to be an older person. The friend I dreamed of returned my call very late that evening. She is in a job she hates and is frantically searching for a new one. In the morning her boss told her that she was being placed on warning for her absences. She has a daughter with health issues. Later her daughter’s school called to say she was sick and needed to be sent home, which upset her even further. When she went to leave work she found one of her tires was flat. By the time she called me she was emotionally drained and a mess. She said she felt like a “helpless teenager” who couldn’t cope with all her problems. I knew this was a “precognitive dream” from the way I felt when I awoke. I was alarmed and worried about my friend. My gut told me that she was in trouble. You don’t have to become a professional intuitive to glean the wisdom of your intuition. One of the best ways to access this wisdom is through your own dreams. And, it’s not hard at all to train yourself to remember dreams. Within a few nights you too can be recalling your dreams and mining them for the pearls of wisdom they contain. 1. Set the intention to recall your dreams. Everything begins with your intention. If you truly desire to remember your dreams you will. 2. Be prepared to write down your dream. Keep a pad and pen on your bedside table so that you can write down your dream as soon as you wake up. 3. Give yourself clear instructions to recall your dreams. Before you go off to sleep tell yourself that you intend to recall your dreams. Remind yourself that you’ve placed a pad and a pen on the table so that you can write them down. Visualize yourself writing a dream down on the pad when you wake up the next morning. 4. Write down your dream as soon as you wake up. If you get up and move around you will forget. We always think we will remember our dreams because they feel so vivid when we wake up but, chances are you won’t. 5. After writing the dream see how you “feel” about it. What is the first association that comes to mind regarding the dream? This is often the key to unlocking the symbolism within the dream. If you’re unsure “play” with a few different ideas as to what the dream could mean. Intuition is all about “feelings.” Always go with the interpretation that feels right. 6. Stay away from dream interpretation books. Interpreting dreams is highly personal and individualized. You are much better off discussing the dream with someone who knows you well than going through a dream book. Follow these steps until you begin to remember your dreams. It might take two or three nights before you begin to recall your dreams so don’t give up even if it takes a bit longer. You can train yourself to remember dreams even if you haven’t remembered a dream in years. You can also train yourself to interpret dreams as long as you’re open to examining your true feelings about things in your life. Once you begin remembering dreams don’t be surprised if some of them turn out to be precognitive dreams as well. Do you remember your dreams? Have you had any that shed light on a problem? Have you ever had a precognitive dream? If you enjoyed this post please share it. Sharing is the highest compliment you can give me. P.S. While you’re here do subscribe to my newsletter and updates and receive a chapter from The Intuition Principle as my gift to you. Thanks for going through the dream work. I especially liked your comment to forget the dream interpretation books. I have lately been studying CG Jung and it is clear to me that he learned so much from his unconscious/ dreams simply because he let himself be guided. Any formula is the projection of that analyst. Thanks for rooting around in this domain. I feel your comments about ‘goals’ are very personal and subjective and don’t fit at all for me but worth writing about. Peace and all power to the other senses. I’m glad you found this post about dreams helpful. When I first started to record my dreams I was a teenager. When I got older I learned that those dream books really meant nothing. No problem regarding going without goals. You have to do what’s best for you. Thank you for visiting and commenting though. Angela, I am a strong intuitive. My sleeping dreams are nearly always joyful ones, silly ones, showing me how to get more zip out of ordinary activities. This is because I tended for most of my life to be a Type A+, a “geek”, and really needed this type of instructive from my sleeping self! I regularly have very strong precognitive “flashes”. Most of them are simply in the form of looking through a window into someone’s soul. This absolutely helps keep me and many others safe and/or seeking healing in the right places. During the recent holiday period, I had a flash about someone who my wordpress service said was starting to “follow” my blog. I only saw a gravatar “handle” and knew this person had a violent, stalking, and online hacking past, yet was now seeking spiritual guidance. I am fortunate to have a good technical support system in place, so I knew how to proceed without endangering myself. Occasionlly, my “visions” are so overwhelming that I am forced to remain isolated for a few hours, at least. Many times, I think “TMI”, you know? However, at the age of 65, I have come to the realization that I should be putting my linguistic and intuitive skills to work in writing every day. I have only had “rainbow and butterfly” dreams since beginning this new work in late September. Istill see things about people walking down the hall towards me in church, for example, that I do not really want to see; but I know it is for a reason and I should wait for further enlightenment peacefully and harmoniously with the world around me. You are wonderful for running this service. Thank you. You sound like you have a very active “dream life.” Your dreams sound like so much fun too! I think you’re right about how the dreams were playful to get you to be more relaxed and playful in your life too. I’m glad you had the foresight to protect yourself against the stalking commenter on your blog too. Writing everyday is such a wonderful way to release our creativity. RE: What you’re seeing about the people who walk toward you at church – tell yourself not to be “so” open to other people’s energies all the time. It’s really up to you. You can “be off duty” when you go to church if you choose to. You’re welcome. It’s a pleasure having you come by and share your comment. I have tried dream interpretation during my college days (I studied psychology) but I haven’t been able to dwell on it for long. This is such a comprehensive post here that there isn’t really much I can add to it! All I can say is that dreams do have a strong place in our development and making us more aware of ourselves. Recalling and interpreting them can have wondrous results. I love how you put this here: dreams do have a strong place in our development and making us more aware of ourselves. Recalling and interpreting them can have wondrous results. Dreams make us more aware of ourselves – so true! It’s a pleasure to have you visit and comment. I found your insights & tips helpful. I rely on my dreams to know myself better. They also provide me with tips on what will go down in the future with my life. Thanks for taking the time to post helpful articles for intuitive people like me! You’re so welcome.I’m so glad you enjoyed the article and found it helpful. I think relying on dreams to know yourself better is the perfect way to utilize them! Awesome! I do the same thing. I see them as a window into the truth of how I am feeling about situations, people and myself. I often get guidance from my dreams. when I choose not to listen I regret it every time! The superlative creator; our authentic self has a perfect inner compass called intuition. When it shows up in my dreams it is always offering the right and perfect guidance. This is an empowering way to hone our senses to voice that lets us know we are marvelously made and worthy of all that is good and beautiful! Dreams reveal how we really feel about things and offer guidance as to how to navigate through our lives. Because of you and this blog, I now keep a dream journal. I’ve experienced what you said “Many times our dreams are only reformulations of things that happened to us during the day or images we saw on television. And, they don’t mean a thing. However, if you have trained yourself to remember your dreams and set the intention to receive guidance in this way, then many of the ones you remember will contain intuitive guidance. ” – And I’ve experienced that shift. Still sometimes I have dreams that from the day, but when I do set an intention before sleep – it works! I’m so happy to hear that you’re now getting guidance through your dreams. This is fantastic news! Isn’t it wonderful to get information about what’s really going on in your psyche straight from the dreamworld? It does work, doesn’t it! You are my postergirl for my technique! Wonderful post on dreams. This has been an interest of mine as I often dream vividly and do remember my dreams. I need to polish up my skills on interpreting my dreams, but your tip of seeing how you feel about the dream after writing them down is a good one. Recently I had two that felt disturbing or maybe confusing as I felt there was a message in the dreams. I couldn’t let go of them for a couple of days. I took a dream interpretation class many years ago, and do have a dream book, but will take your advice and let that go. Thanks for sharing. Take care. Yes, please do let go of the dream interpretation book. When I was a teenager I had several dream interpretation books. One of the books said that riding on a bus meant you were moving in the direction of your desires. That has stayed with me for years? And I have never dreamed of riding a bus again. Dream interpretation is so much better when we go with our gut! I love how you explain and share so openly…thank you! I use dream interpretation in my life. When someone even begins to tell me their dream, the meaning flashes immediately, so I have to ask would you like me to just listen or reflect the interpretation for you? My children laugh because right it is so innocent and common to wake and tell someone your dream yet at our house, it is a special “invitation to share your innermost self”. It can be a powerful tool. Sometimes before I sleep, I ask a question that I might have been wrestling with during the day, and I am given the answer. As with any other tool, it is about awareness and also the willingness to want to know the truth. I love remembering my dreams. I’ve been recording them since I was 14. I’ve never failed to learn something about myself from a dream in all those years. I think it’s fantastic that your children share their dreams with you too! It’s great for you as a Mom to get such a window into what is really going on with them too, right? When you are intuitive like you are – you’ll get a flash of “knowing” about dreams even before the person has finished telling you their dream. Absolutely, it happens to me as well. I do not do this enough. When I first started to meditate I used to remember my dreams often and clearly, but of late I have not. I will use your formula to put them to work for me. Funny though how I just stopped recalling dreams. I think it’s like anything else in life. When we are busy if we don’t specifically create the intention to remember our dreams we won’t. I had always been intrigued by dreams, but I never really studied them until one night in 2006. It was such a realistic dream that I wrote it down. Throughout the day I couldn’t forget it. Like a really great story. I could see a movie in my head. 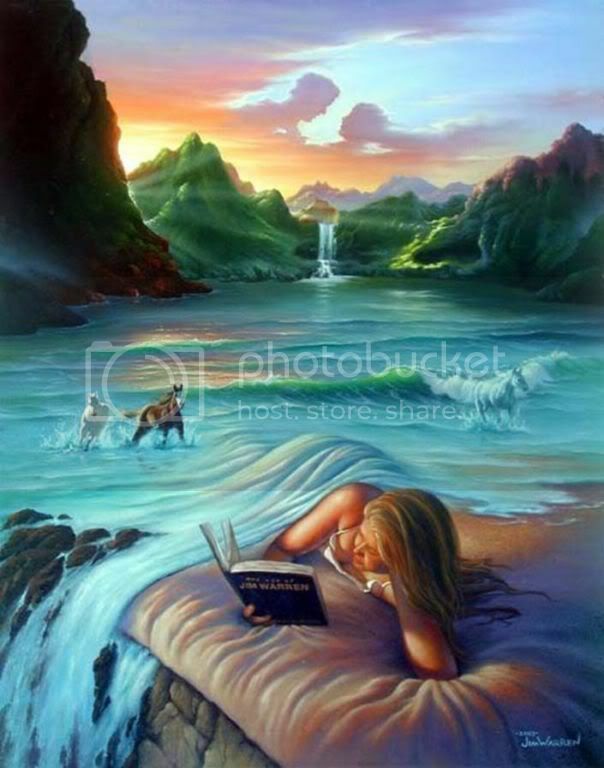 And so it became the inspiration for my first novel, “The Dreaming Highway.” I started researching dreams for the book and learned a lot about lucid dreaming and others. A fellow dreamer and lucid dreamer- Awesome! Dreams are an open door to the vastness intelligence that surrounds us in the Universe. I too have dreams I can still recall 30 years later. They leave such an imprint, don’t they? Do you still remember your dreams in the morning? I love that you were able to mine your dream for your stand-up comedy and that you based your novel upon the dream too. I have found that often people who have vivid dreams and remember them are quite intuitive. You must be quite intuitive. Have you taken my intuition test? Angela, thanks for tips! I have learned the value of my dreams to help me gain awareness of unconscious beliefs and patterns. Before I go to sleep I focus on my desires and intentions and work to make these my focal point in my thinking. If nothing else it has helped me be more mindful. You’re so welcome! Dreams are so wonderful for revealing the truth about our beliefs and patterns, aren’t they? I love that you are setting your intentions at night before going to sleep too. I’m sure this is producing great results for you! I’m so glad you figured out your recurring dream! When I was younger I dreamed over and over that I was in the back of my parents car and there was no driver. The car was going down a huge hill and I was helpless and unable to stop the car! It was soo frightening. It finally stopped when I was in my 20s. It had to do with not being in control of my own life. When I became an adult and moved away from my parents the dream stopped. Very interesting how our dreams speak to us, isn’t it? As you rightly point out, many times, our dreams are only reformulations of things that happened to us during the day or images we saw on tv and don’t mean a thing. This is certainly my experience for many of my dreams. I also have had dreams where my intuition spoke to me and sent me flashes of insights when I awoke. I don’t recall having precognitive dreams, but I have had intuitive guidance ones. The most vivid one was a recurring nightmare I used to have where I was running from a faceless person who was trying to kill me. The setting may have been different at times, but it was always dark. I had to run through a literal maze or corridors to avoid the killer. Sometimes I avoided getting caught. Other times I was not so lucky and as he lifted me off the ground by my neck, my blows and kicks had little effect on him. That’s when I usually woke up. Well it turns out I got this dream because I was trapped in a job I didn’t like and felt there was no way out. Once I quit, the dream stopped. Intention certainly works. I recall the experience of waking up from a dream and feeling dissatisfied that the story in my dream has not come to a conclusion. I was woken up prematurely by my husband’s alarm. So I set the intention to continue the same dream. I switched off the alarm and fell back to sleep. I went right back to it. The dream was about some epic adventure on a gigantic cruise ship (like the titanic) that I was in. Wow! That’s awesome. I’ve never been able to get back to a dream like that, although I’ve wanted to. Your dreams sounds fascinating. Did you try to interpret it? Wow, you know when you say stay away from dream interpretation books you are so dead on! I love this post, Angela, love love love. I’ve been scribbling my dreams down for years… although not on a regular basis. I have some dreams that seem to go on and on forever and IN my dream I’m actually saying… WAKE UP ALREADY this has to end! lol. I also have very vivid dreams. I’ve had a couple that were so vivid and life like that they scared the HELL out of me. Woke up shaking, crying and everything. Those few I can actually STILL remember as if it were yesterday and it’s been over a decade. Anyhow, real interesting post, thank you. Thank you. I’m so glad you enjoyed this post and found it helpful. I’m so glad to know you’ve been recording your dreams too. I have kept a dream log since I was 14. I find it so helpful to explore what I “really” feel by interpreting my dreams.